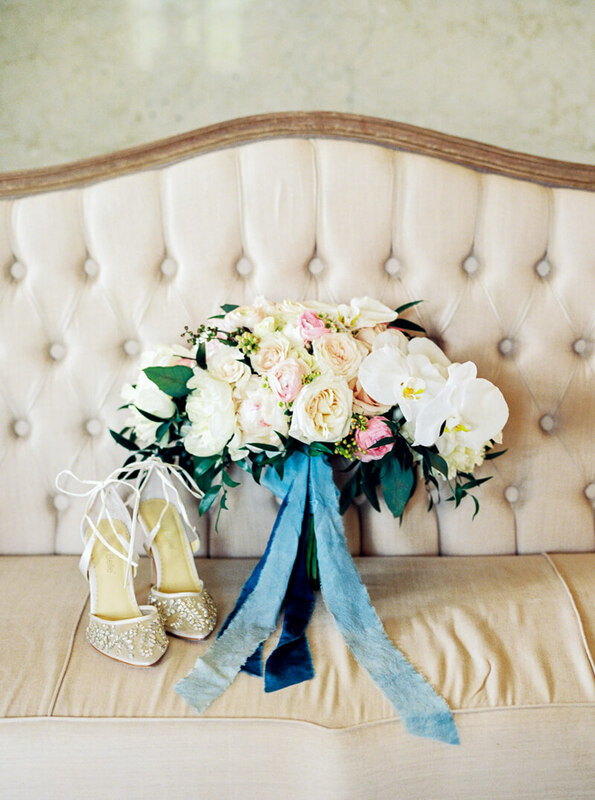 Our shoot was inspired by our love for European Old World elegance. Making something old feel new again. Every element of this design sets the stage for this timeless theme. From the Powel Crosley Estate’s unique history, elegant mediterranean architecture, to their lush gardens, this breathtaking venue was the perfect backdrop. Even though the rain kept us mainly inside, it’s a great reminder to choose a venue that has beautiful interiors or covered awnings as a back up for when it does rain. You don’t need to be outside to have beautiful photographs and with a venue like this, the charming interiors played a key role in bringing that European feeling to the portraits. The invitations, menus and calligraphy were designed by the talented Kristen Leigh Lettering and Design. We created unique accents and made our very own custom vintage velvet books embossed with our couple’s monogram that was also on our invitations. These velvet books were created for multiple purposes--- bookmark “placecard” ribbons, the menu placed inside, and as a favor for guests to take home. 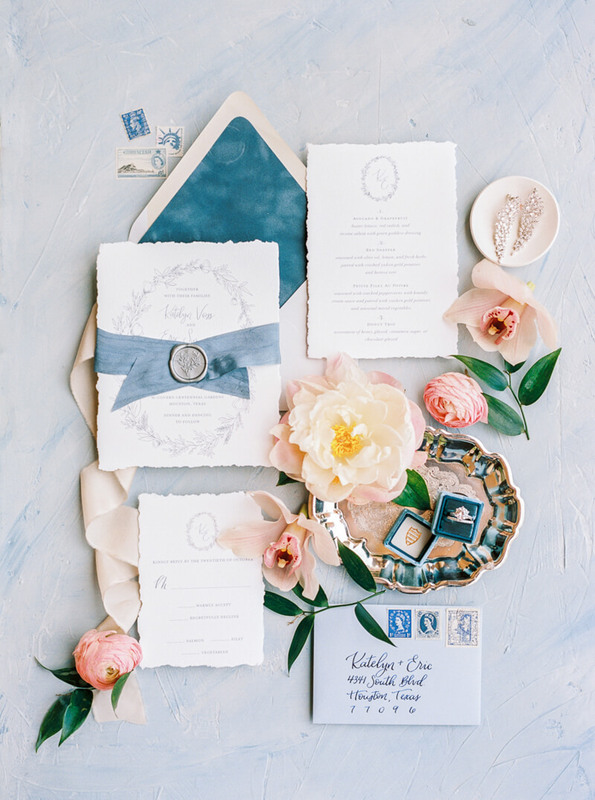 Pairing soft blue, blush, and ivory created these romantic pastel tones that complimented the neutral interior of the estate. The ivory lace linens, intricate blue chargers and glasses added lots of texture while also hint of sparkle and luxury. 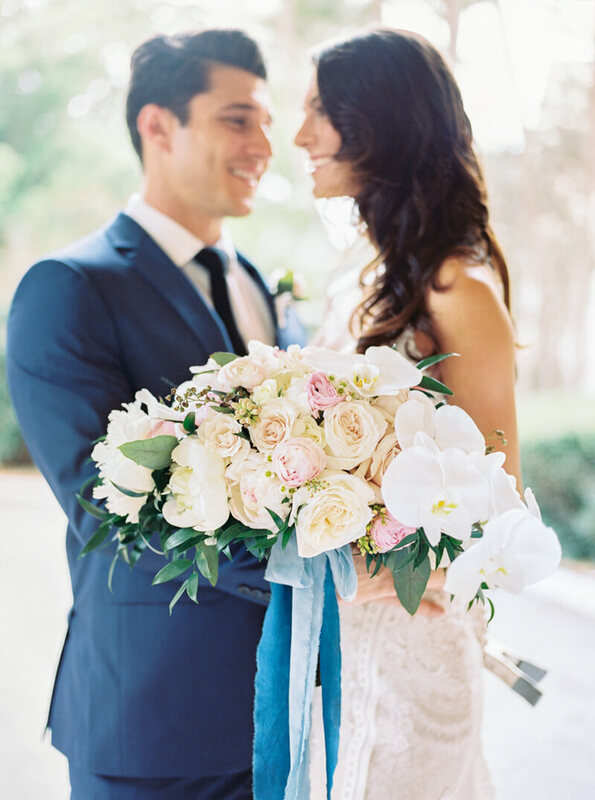 We are still swooning over the lush asymmetrical ivory and blush bouquets and centerpieces created by Beneva Flowers. 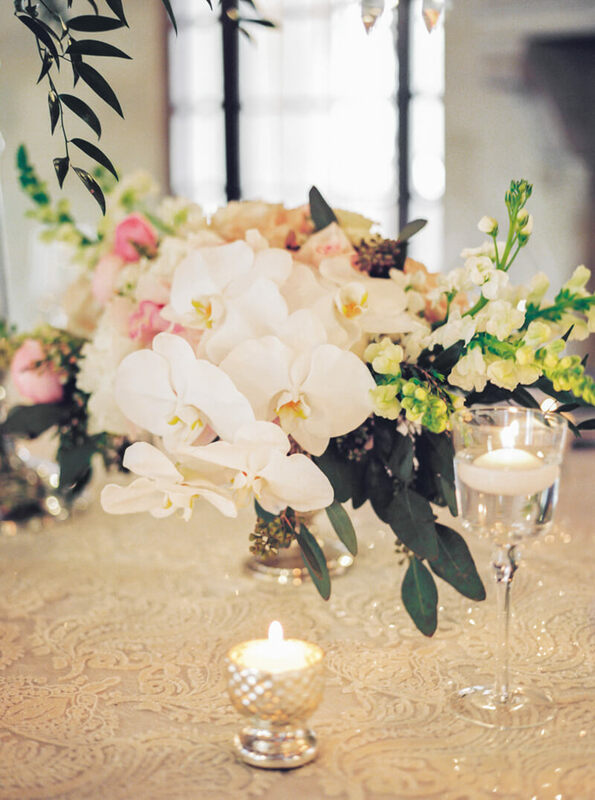 These florals overflow with garden roses accented with luxurious orchids. Needless to say we tried to keep these beautiful arrangements long after the shoot was done! Finally, our cake table was designed with elegant flowing linens from La Tavola Linens and a gorgeous custom cake by Lenka Kutova Custom Cakes accented with flowers and a soft candlelight glow.